Some time ago I promised to get back to the Seagate Barracuda 7200.7 line with the release of the drives with an 8MB buffer. 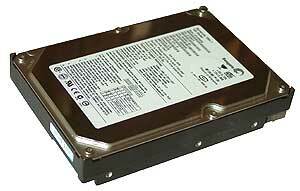 And today we are going to test a 120GB drive named Seagate ST31200026A with an 8MB buffer. Beside the increased buffer this drive has a different firmware version - 3.05, while the previous model ST380011A had 3.04. Let me remind you the specs of the Seagate Barracuda 7200.7 drives in comparison with the previous line - Barracuda ATA V.
Earlier the drives of the 7th generation disappointed me with a great access time and a low write speed. The AAM support doesn't seem to start working in the new firmware version. 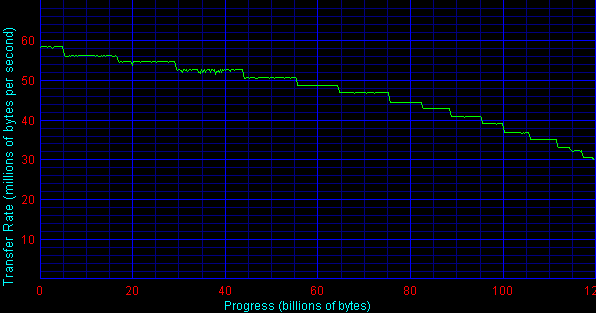 First of all, let's compare the scores of the Barracudas with 2MB and 8MB buffers. The linear read speed is almost the same. The diagrams prove it. The average read speed hasn't changed either, but the write speed looks queer: the drive writes at the same average speed as it reads! The diagram looks original. I think it can be explained by the software realization of this particular test. That is why we'd better wait for the IOMeter to make the final conclusion. Seagate keeps on reducing the access time, though it's still far from 12.66 ms specified (the company uses its own measurement technique), but the tendency is good. In the Ziff-Davis WinMarks tests the scores must definitely grow up. On the other hand, the growth of 6% in FAT32 and 8% in NTFS is not much (the Maxtor DiamondMax Plus 9 had it about 20%). In general, the scores are higher, but it doesn't make me much happier :). As you know, the Intel IOMeter doesn't like large buffers - so, all drives with the 8MB buffer showed worse results than the standard drives tested last time. That time the difference was neglible. Here, at the loads close to linear ones, the ST31200026A sweeps the floor. Probably, it's the effect of the reduced access time. As the load grows up, the picture looks usual. In the random access models the situation is the same, though the Barrakelf with its 8MB buffer gives up earlier in reading. Now let's see how the Barracuda feels near its competitors - drives with the 8MB buffer from Maxtor and WD. The scores of the Maxtor 6Y080P0 are given for the Ultra ATA/100 mode. All linear read speed are approximately equal. The Barracuda takes the lead in the write speed, probably thanks to its buffer arrangement and peculiarities of the HDTach. The Seagate has finally caught up with the competitors! It's not that bad at all. In the Ziff-Davis WinMarks tests the Barracuda looks excellent. In the Server and Workstation patterns the ST31200026A drive shows good results, but loses the battle in the Database. Why? Does it have anything to do with the growing percentage of requests for recording (33% against 20%)? Let's see. Yes, it looks like recording is a weak point of the Seagate's drive. Let's test this drive in the extended Intel IOmeter benchmark. First of all, in the Database pattern (8KB blocks, 100% random requests) the correlation of requests for writing/reading is changed. The queue depth is fixed at 1 (linear load), 16 (light) and 256 (heavy load). 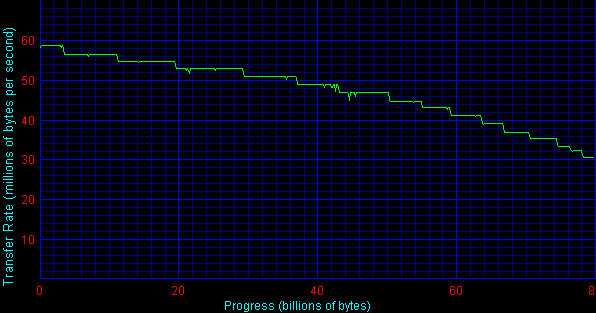 The scores are given in IOps (Total I/O per Second). Well, the Barracuda's firmware can't handle sorting the requests for writing. The higher the load, the worse the situation. Now the serial modes. The drive gets requests for reading or writing of blocks the size of which is gradually growing. The queue depth is fixed at 4 (very light). 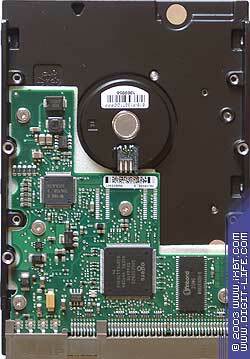 The Maxtor reaches the maximum speed at the block size of 16KB, and the Seagate at 32KB. Here the ST31200026A has it all right. Obviously, the problem is in the firmware. The 6Y080P0 doesn't like to write blocks over 8KB at all. 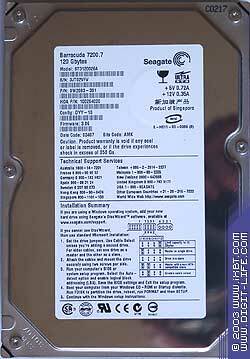 I can't say that the ST31200026A drive changed my attitude towards the Seagate Barracuda 7200.7 line. The access time is definitely higher, but the firmware is still raw.